It’s almost that time of the year where we celebrate as the calendar flips over to a new year. But, when we look back at 2018, we think what is that one thing that entertained us right from the beginning? Memes have taken over the social media world and Twitterati can’t stop twisting news, pictures and even random sentences into funny scenarios with their witty captions. “If you don’t live me at my…” went viral with several popular brands joining the party across major social media platforms in 2018. Some of the biggest, most popular versions of the meme came from Netflix, Mindy Kaling, and others. PUBG, also known as PlayerUnknown’s BattleGrounds, is a game that has clocked in more than 100 million downloads since it first dropped on the App Store and Google Play Store in March. In My Feelings, a song from Canadian rapper Drake’s latest album Scorpion, became Internet’s favourite. A dance trend known as the #InMyFeelings (or #KekeChallenge) challenge began soon after. Netflix was accused of an overdose of Radhika Apte in its Indian original shows. But Twitterati handled it rather well. Netflix even edited its bio to say, “Just another @radhikaofficial fan account” on Instagram. Priyanka Chopra and Nick Jonas’ marriage is going to be remembered for a very long time, and not only for the beautiful ceremonies that took place, but also for the endless memes that were made because of it. 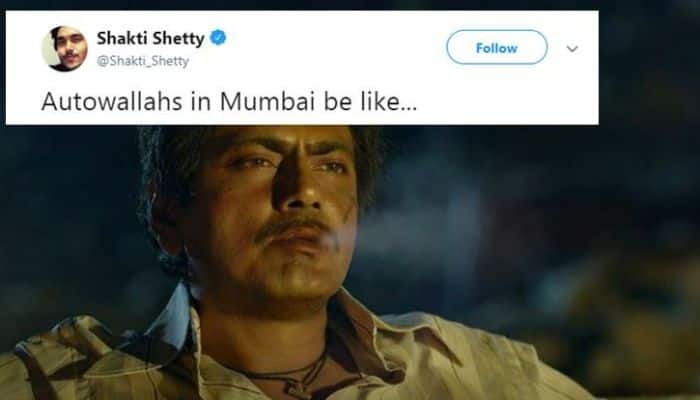 Sui Dhaaga – Made In India memes starring Anushka Sharma and Varun Dhawan have been blessing Instagram and Twitter timelines. A Zomato delivery boy was caught on camera opening food packs meant for delivery and eating out of them. The man eats from one pack, levels the food so it looks untouched, and seals the pack back. He then goes on to do the same thing with two other parcels. 2018 wasn’t a good year for Facebook, purely considering the number of scandals, some of which are still popping up as the year ends. Mark Zuckerberg had to take a trip to Capitol Hill this year after the whole Cambridge Analytica scandal shook everyone. What followed was an endless array of tweets, jokes, GIFs, memes, and more. Hello friends, chai pi lo! You must have come across a hilarious video of a woman saying this again and again. Her 15-second-video of politely urging the people of India to drink chai has clocked thousands of views on social media platforms. Netizens got insane after the video of Malayalam song ‘Manikya Malaraya Poovi’ from the film ‘Oru Adaar Love’ was uploaded. The song happens to show the chemistry between Priya and her co-star Roshan Abdul Rahoof while they are in a classroom.